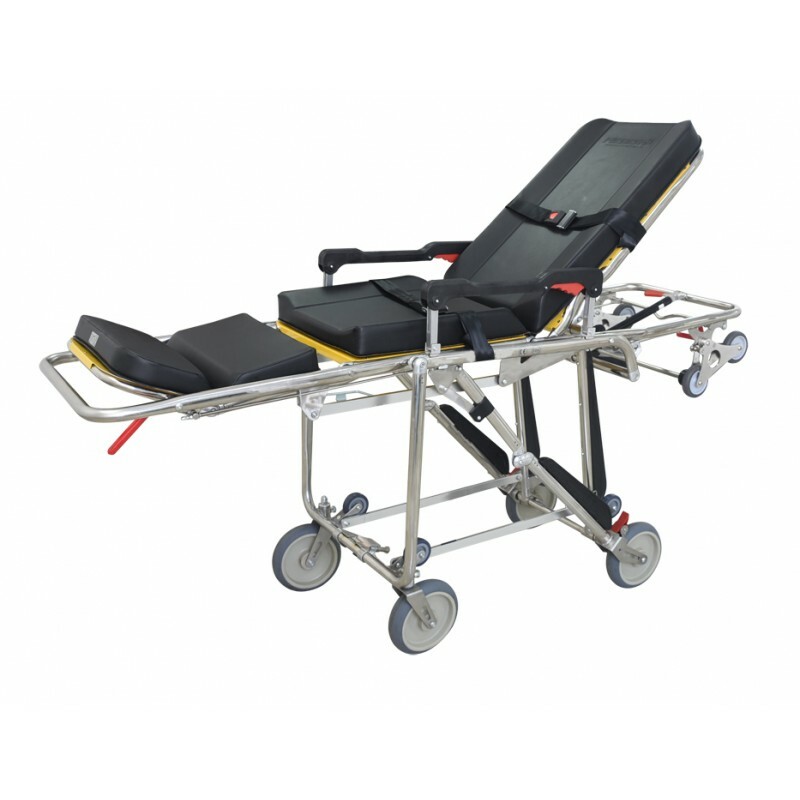 The MOBI PRO SSE is fully equipped and comes standard with thick, comfort mattress pad, 8 inch Deluxe Castors for smooth transport, Collapsible Side Rails, Buckle Straps and Vehicle Locking Device. The stretcher is multi-functional, allowing user to convert into a chair for patient comfort or to navigate restricted space, such as elevators. Can position into Chair or Stretcher with patient on the gurney. This unit is built with Stainless Steel construction, and can handle upto 550 lbs. 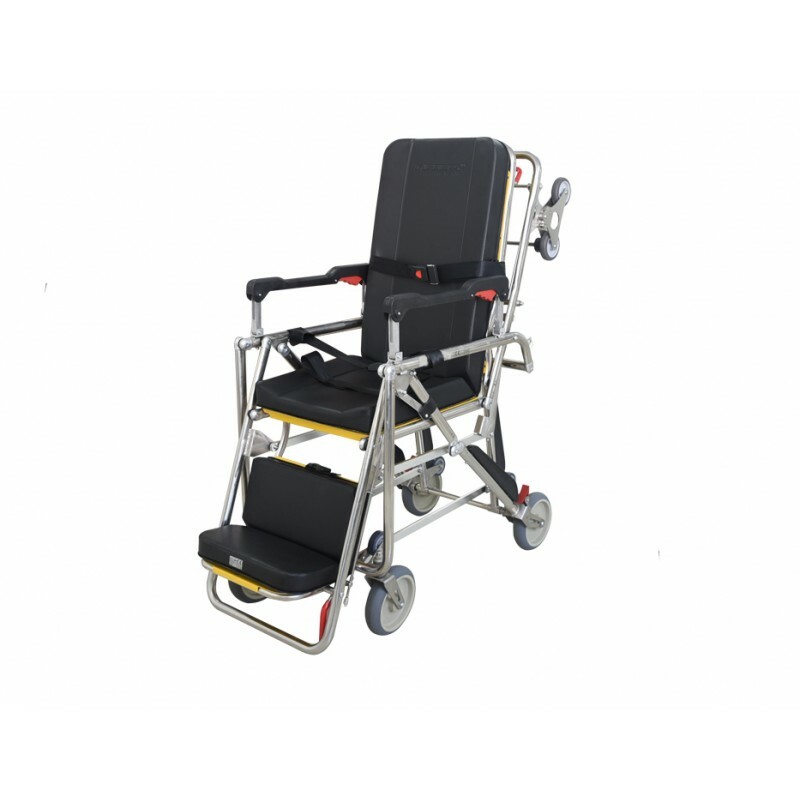 The MOBI PRO SSE is ideal for inner facility healthcare use, residential care, persons with disabilities or for non-emergency ambulance transportation.